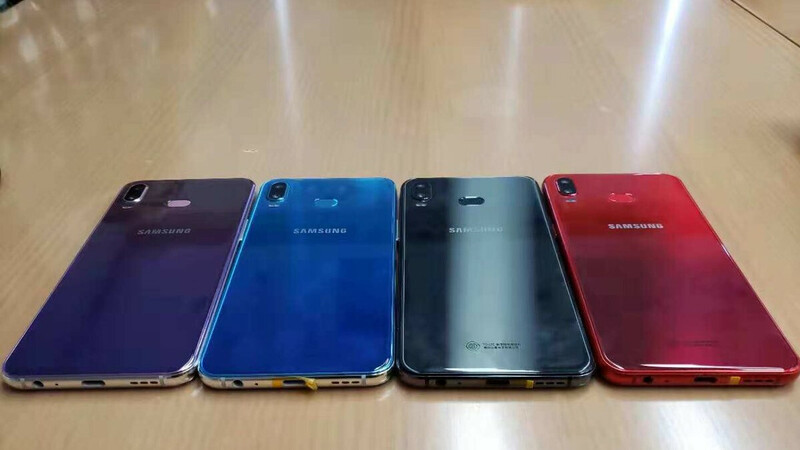 The recent 2018 editions of the Galaxy A9 and Galaxy A7 may have adopted quadruple and triple-camera setups respectively, but, as confirmed by the latest leak, Samsung also has a new device in the works which sports a much more traditional dual-camera layout on the rear. The smartphone, which will be known as the Galaxy A6s in China, is set to follow in the footsteps of Samsung’s recent devices by adopting a vertical camera module in the top corner of the rear. just above a new dual-LED flash. However, when it comes to the fingerprint scanner it seems Samsung can’t decide on one design. The Galaxy A7 makes use of a side-mounted one, while the A9 includes a square-shaped sensor on the rear. In the case of the Galaxy A6s, though, Samsung has made use of an oval-shaped scanner on the back which is positioned quite far up the device. Over at the front, the smartphone unsurprisingly adopts an Infinity Display. But unlike Samsung’s previous devices, this particular model makes use of colored bezels which match the aluminum frame. When it comes to the internals, Qualcomm’s Snapdragon 660 is expected alongside 128GB of storage and the choice of 64GB or 128GB of internal storage. This will be coupled with a decent 3,300mAh battery and Android 8.1 Oreo straight out of the box. In regards to availability, rumors point towards this device going official on October 24. Sales should then commence towards the beginning of November with the smartphone set to be sold in three gradient options and a more traditional black color. Unfortunately, pricing is yet to be confirmed. They look like iphone clones . Yes of course. Always Samsung compete iPhones with midranger phones. Can you tell me which color or position of fingerprint is copied and where is that gigantic notch ? Samsung has two designers in the company. One is holding an iPhone, and the other is draws it. Did I just saw Galaxy Phoenix ? ?